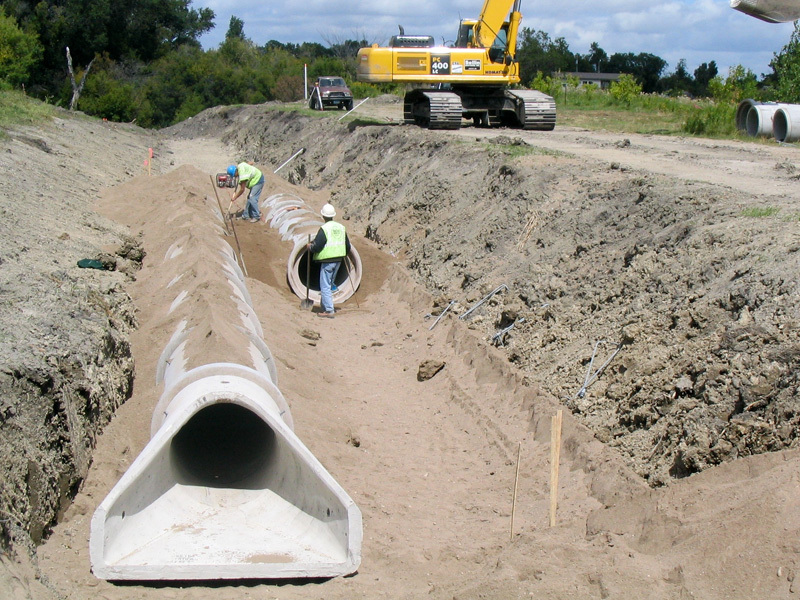 In an effort to raise the City of Hillsboro’s visibility as a housing option, the City, along with the Hillsboro Economic Development Council (HEDC), has been promoting the City as “one to-go cup of coffee away from Fargo and Grand Forks”. 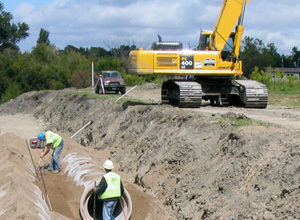 The City saw a need for a new residential housing development and hired AE2S to design new underground infrastructure and street construction for the new Riverbend Addition. 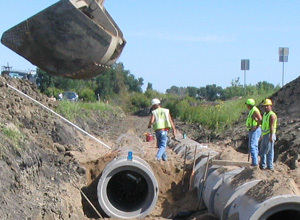 The project consisted of a new sanitary lift station, new water and sewer utilities systems, the construction of new curb and gutter with a bituminous street surface, and new street lighting. 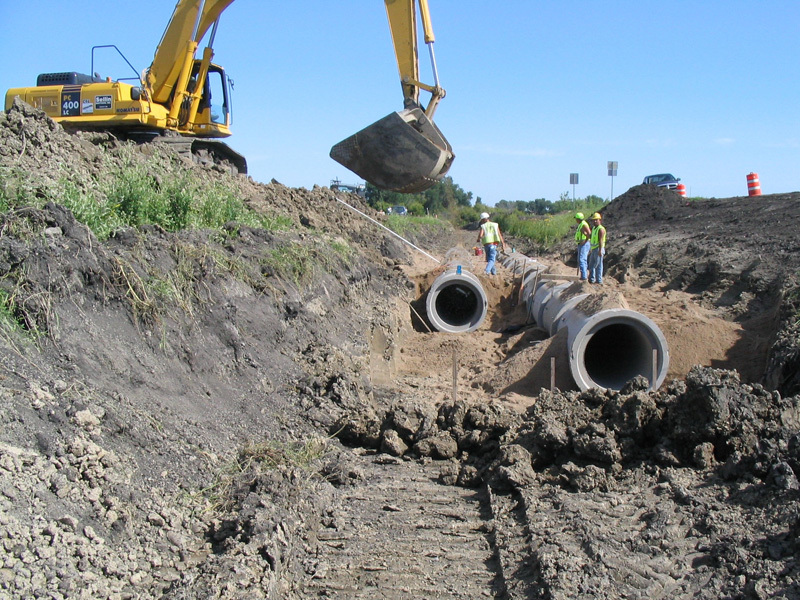 The bituminous street section consisted of a 12-inch aggregate base course, geotextile fabric, drain tile tied into storm sewer to ensure adequate subsurface drainage, and 4.5 inches of asphalt pavement. 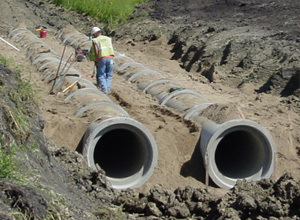 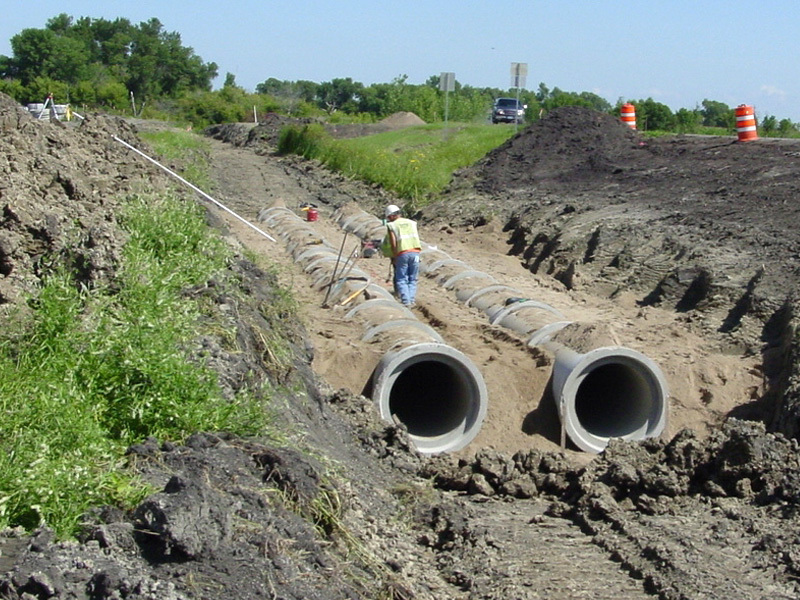 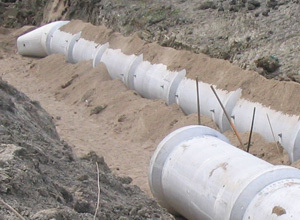 Approximately 2,206 lineal feet of reinforced concrete (RCP) storm sewer was placed in this project. 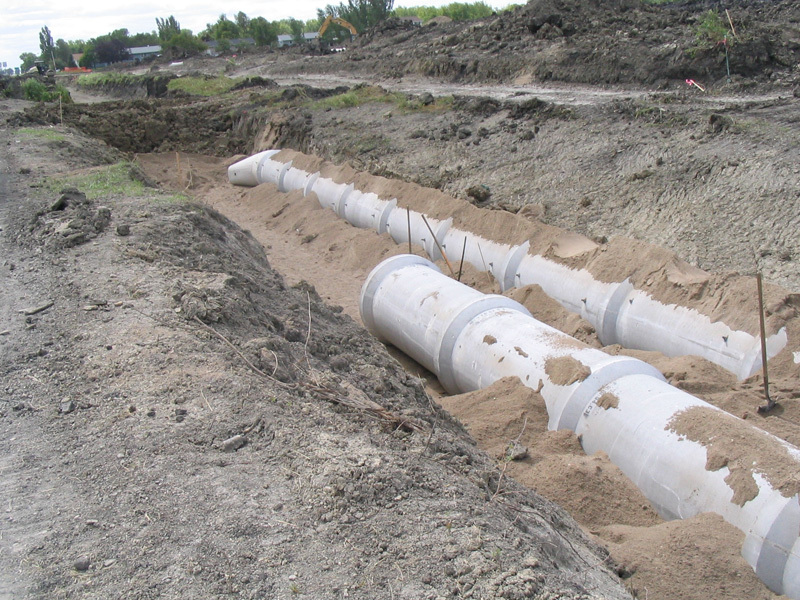 To accommodate the new ditch regrading, shaping, and drainage associated with the East Side drainage project, dual 36-inch RCP culverts were placed under the two new approaches to the Riverbend Addition.